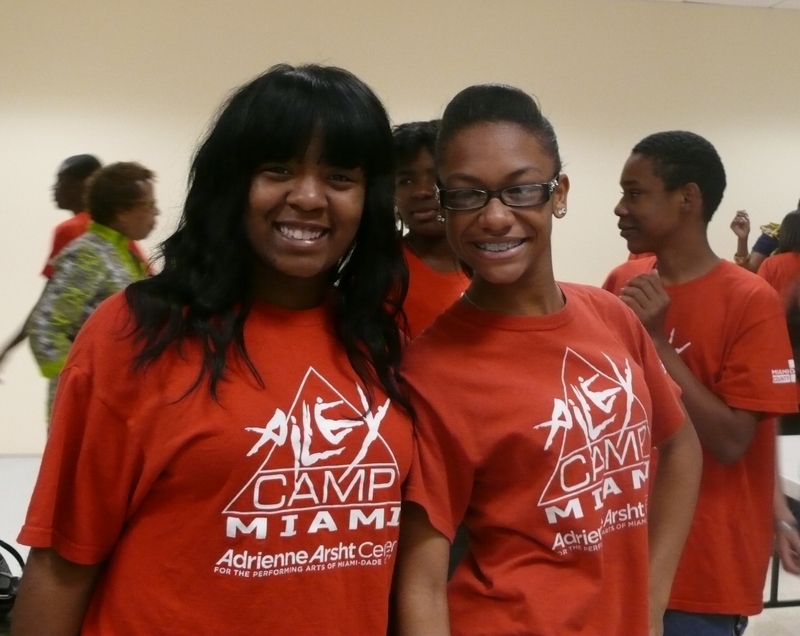 This time of year brings a whole new wave of AileyCamp Miami participants to our doors, and it takes a significant amount of volunteer support to make sure that everything runs smoothly. April 30th was the kick-off date for AileyCamp Miami 2011. Auditions and interviews were conducted for potential campers. More than 400 candidates turned out for the chance to experience what has been called the finest dance training camp in the country. 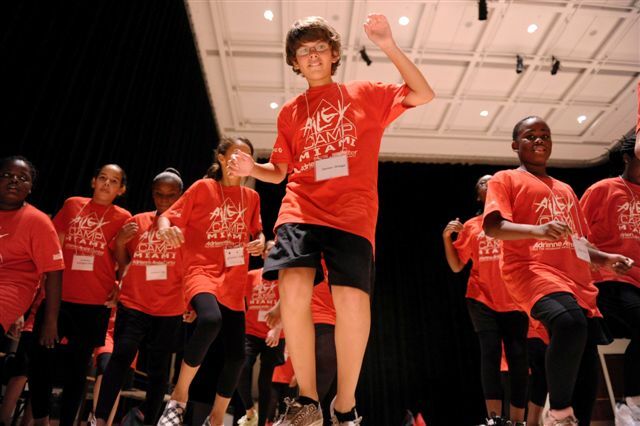 This year, the Center’s Volunteer Services team recruited its Youth Corps volunteers—who are under 18 years old—along with their volunteering parents, to make the Ailey Campers’ first look at the Arsht Center welcoming. The energy of the youth corps was essential to the success of the day – the runners spent the entire day taking the younger campers to their interviews and auditions. The Center’s volunteer youth corps is close in age to that of the Campers themselves, making them ideal Center ambassadors for this program. At this event, three of the Center’s volunteering families participated. 15-year-old Madisyn Fluitt volunteers with her grandmother Lilian and mother Edith; 15-year-old David Weiss often volunteers alongside his Dad, Shay; and 15-year-old Marniece Holmes was an Ailey Camper last year and now volunteers as much as possible for Ailey events with her mother Marniece Dixon. Families who volunteer together is nothing new for the Center’s volunteer program, which boasts multigenerational participation every week! Having a parent volunteer with a Youth Corps member strengthens the commitment for both to sign up for a variety of events, and creates a unique arts-related way for families to spend time together. Most of these young volunteers will continue working with AileyCamp over the summer, and the Center is fortunate that it can count on such bright and shining stars! After four dance classes a day, every day Monday through Friday, for six weeks, 250 AileyCamp t-shirts, 75 leotards, 10 daily affirmations, and several aching muscles later, 100 proud Miami-Dade County middle schoolers made professional dancing debut on Saturday, August 7, during the AileyCamp Miami final performance. The John S. and James L. Knight Concert Hall was packed with more than 1500 beaming, clapping, shouting friends and family members supporting these young students’ journey that culminated with a triumphant leap across the stage! The AileyCamp program is a full scholarship camp for at-risk youth in grades 6-8, that provides instruction in modern dance, ballet, West African, and jazz, plus creative communication and personal development classes – all at no cost to campers and their families. No dance experience is necessary, but that was hardly evident during the culminating performance as dancers took to the stage with confidence and abandon, glittering technique and shining spirits. The evening’s program, titled Soulstice, honored the astounding 20-year contribution of Alvin Ailey’s Artistic Director, Judith Jamison and, as Adrienne Arsht Center president and CEO M. John Richard remarked, it also showcased the dancers “boundless soul.” When all 100 campers filled the stage for the finale, performing a section from the Ailey classic, Revelations, the students became part of dance history, keeping a legacy alive through the magic of live performance. 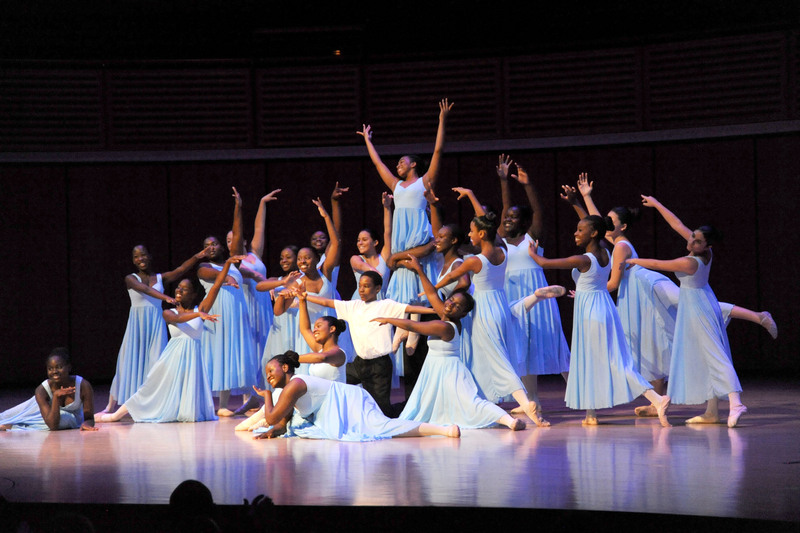 Although only in its second year at the Adrienne Arsht Center, AileyCamp has already staked its claim as one of the most vital and moving programs of the entire season – as evidenced by the ushers, quietly wiping away tears. “Now is your time to shine. Here we go, 5, 6…. 5, 6, 7, 8!” and with that, Yusha-Marie Sorzano sends her AileyCamp Miami student dancers flying. They are preparing for the AileyCamp final performance, just three weeks, and Yusha has them dancing fast and fierce – just as she has done on stages across the globe. Born in Trinidad, Yusha’s family moved to Miami when she was 9 years old, where she promptly enrolled herself in after school dance classes at her local, Miami public school. She went on to study dance at New World School of the Arts, and then jumped straight into the New York dance scene, landing a spot in the one of the world’s most acclaimed modern dance companies, the Alvin Ailey American Dance Theater. After several years with the Ailey company, Yusha is now back in Miami, working as an instructor at AileyCamp at the Adrienne Arsht Center – touching the lives of young people through the magic of dance. What made you decide to come onboard as an instructor at AileyCamp Miami? I’ve always taught kids, but this is such a different experience – to teach all day long, four technique classes, and really get to know the kids. I wanted to introduce myself to this type of teaching experience. Plus, I started dancing in the public school system (all AileyCamp students are Miami-Dade County public schoolers), so it was important to me to give back. I had planned to come to Miami, and now every night I tell my parents and friends how much fun I’m having here. Is it exhausting, teaching 100 middle school kids from 8:30am to 3:30pm? What has been the biggest challenge for you at AileyCamp? Learning all 100 of the kids’ names! I want to get to know each student personally. Now, what I’m working on is trying to remember one special thing about each of them. Do the kids know that you’re an international dance superstar? Tell us about your technique class for AileyCamp. Basically, it’s the 20K take on Horton technique for young kids. I’m introducing the technique to kids who haven’t had much dance training, so I try to make it relatable for the kids, combining it with popping and locking, playing songs the kids know. I want them to know Horton technique can be lots of fun. Now that you’re back in Miami, what are the next steps for you? I definitely want to do more outreach in Miami. I hadn’t planned on it, but this experience has shown me that I do. I also want to dance in Europe. And I just acted in my first indie film in LA, produced by Omar Epps and written, directed, and starring another Miami New World graduate. Best moment in AileyCamp so far? Watching the person in the back – who usually has some difficulty getting the steps – finally get it. Seeing the smile on their face. The joy. The dancers grin and head out the door practicing… following in Yusha’s footsteps. AileyCamp Miami is in full swing at the Adrienne Arsht Center with 100 Miami-Dade County young people leaping through the air and bounding through the halls every day! The full-scholarship camp began on June 28 and runs through August 7, providing a dynamic program of daily dance instruction and personal development courses for local middle-schoolers. On July 7, campers had a special treat when the cast of Tap Dogs, the internationally acclaimed stage sensation that played the Ziff Ballet Opera House, stopped by AileyCamp for two hours of thrilling tapping and inspiring discussion of the life of a professional dancer. The Tap Dogs demonstrated some of their famous stage skills, including the thunderous percussion, urban swagger, and easygoing humor that had the AileyCamp kids shrieking in sheer delight. Campers also had the chance to try out some of the tappers moves. Tap Dog Dominic Mortezadeh, who is a robust 17 years old, was a big hit with the campers, who range in age from 11-14, and could imagine themselves filling his world-class tap shoes in just a few short years. AileyCamp Miami culminates with an all-camp performance on August 7. 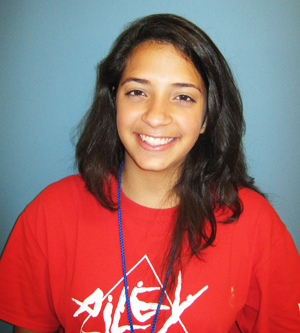 Hi, my name is Debhorha Guerra, I’m 15 years old, and I was part of the inaugural year of AileyCamp Miami 2009. I had an awesome experience at AileyCamp. The personal development classes helped me increase my self-esteem; they helped me understand many of the changes I was going through as a teenager. The creative communication classes were extremely helpful; these classes helped me to communicate better and in many creative ways. All the dance classes helped me gain strength and confidence while at the same time helped me to let go of all the stress and pressure I was going through as an average teenager. The teachers at the Camp were always enthusiastic and ready to help whenever needed. Even the Camp’s field trips enhanced the overall experience, and created bonds between the campers in a fun atmosphere. AileyCamp Miami exceeded all my expectations. It provided a great combination of education, new experiences, friendships and excitement. After such a fantastic experience I was saddened by the fact that I was not going to be able to return to AileyCamp this summer because of the age limit. The program had such a profound impact on me that I was determined to be involved this year in any way possible. 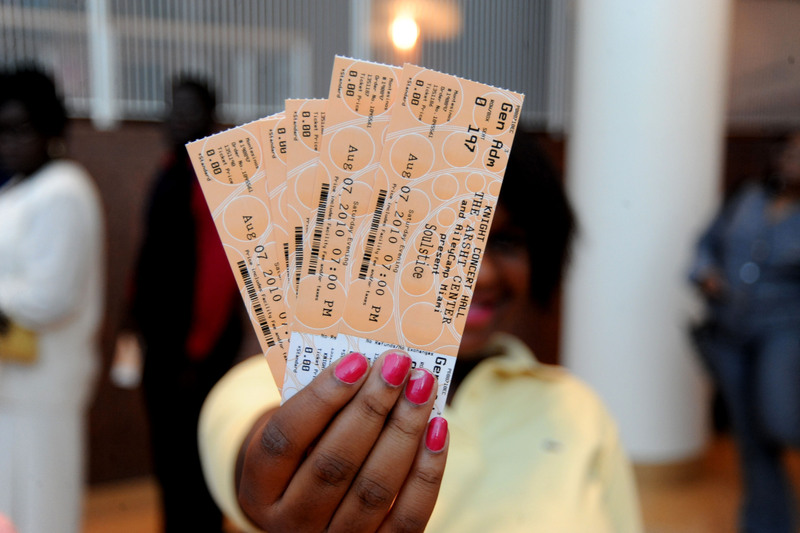 Already a volunteer at the Adrienne Arsht Center, I was pleased to find out that I could volunteer for AileyCamp Miami 2010 as well. This gives me the opportunity to have the same impact on others as I received while being a Camp member. As a volunteer this year, I have gained a completely new perspective on the Camp. I saw how hard staff and administration work to make the Camp flow easily for the campers. I also realized how much they are informed on teenage behavior in order to enhance the campers’s experience. Also as a volunteer, I see the amazing growth of the campers, and I find it astounding to think that that was me just one year ago. It has been a rewarding experience so far as a volunteer. I look forward to the upcoming weeks. It was marvelous to be a camper and it is proving just as marvelous to be a volunteer. Yes, indeed! AileyCamp Miami returns – with these positive, daily affirmations as a cornerstone of the curriculum – for the second year to the Adrienne Arsht Center, June 28–August 7. This year, the program expands from 80 to 100 campers, with 20 campers from last year’s inaugural camp session returning for another summer of inspired dance education and personal development. 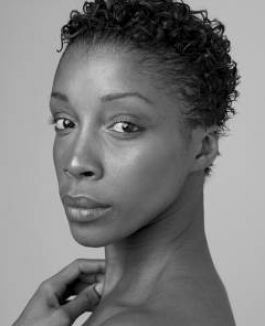 In an exciting local twist, Miami native, graduate of the New World School of the Arts, and former Alvin Ailey company member, Yusha-Marie Sorzano, returns to the Center as a special AileyCamp faculty member. Students from all 61 public middle schools in Miami-Dade County were invited to apply for this full scholarship camp experience which includes camp tuition, uniforms, dance attire, three exciting field trips, breakfast, lunch, and transportation, all at no cost to campers and their families. Founded by Alvin Ailey in 1989, this innovative program uses dance as a vehicle for self-esteem and empowerment, and culminates with a final performance spotlighting all 100 dancers on the Knight Concert Hall stage on August 7. AileyCamp is designed for at-risk or underserved youth in grades 6-8 who may not otherwise have access to the performing arts. 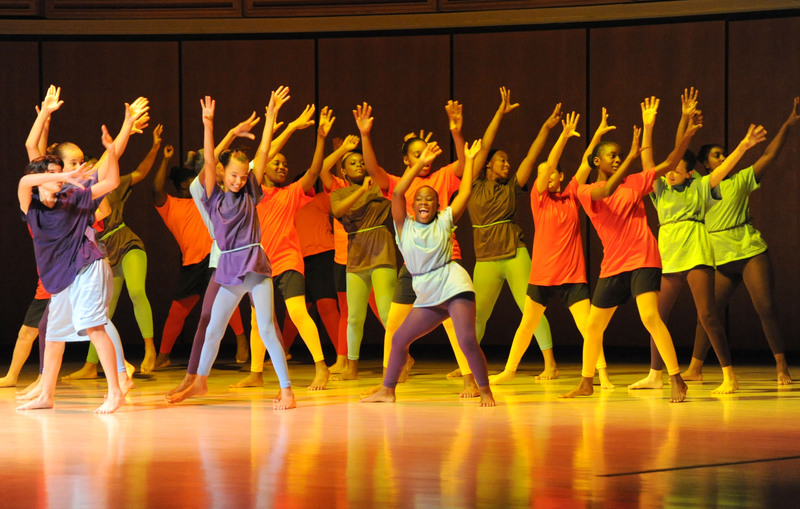 This year’s camp features a full six-week session, with daily technique classes in ballet, Horton-based modern dance, jazz, and West African dance. Campers also participate in creative communication classes, developing confidence and skills in the areas of goal-setting, self-government, and self image.